In the early 1990s, an upstate New York doctor became the medical director of a nursing home populated almost entirely by severely disabled elderly people. Unhappy about all the unhappiness he saw around him, the doctor launched an experiment. Shifting attention from “treatment” to “care,” he introduced plants in the living quarters, flowers and vegetables in the garden, and a veritable menagerie all around the property, including two dogs, four cats, and 100 parakeets. Eventually, he added an outdoor play area for the employees’ children. The results were surprising: greater contentedness in the home’s residents (measurable in part by a large decrease in the need for psychotropic drugs like Haldol), but also extended lives. Medicine and What Matters in the End. 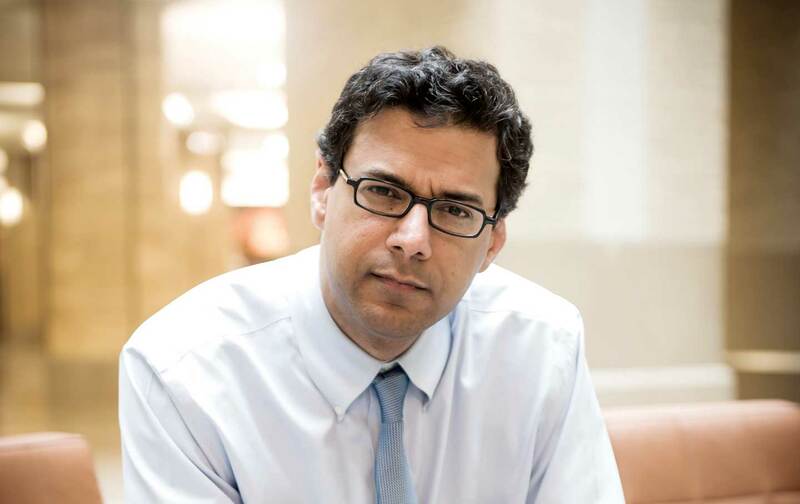 Atul Gawande believes in targeted fixes, especially small ones. His previous book, The Checklist Manifesto, detailed the outsize benefits of that favorite of highly organized people, the checklist. In Being Mortal, the writer-physician turns his attention to what happens when the elderly or infirm are granted a plant to look after, a chance to break an in-house rule, or even a sustained conversation about their future. His contention is that such little adjustments not only produce big payoffs for well-being, but also represent significant breakthroughs in terms of our thinking about questions of such daunting ethical and emotional magnitude that we generally avoid contemplating them at all. Questions like: What can we do to improve the existence of people in the final phase of life? How do we prepare others—and eventually ourselves—for the end? Gawande has a philosopher’s as well as a clinician’s interest in death. His 21st-century ars moriendi, or guide to dying well, opens not just for show with reflections on Tolstoy’s Ivan Ilyich and his tortured, lonely struggle with his own mortality. All Ilyich wants in his last days, it turns out, are some comfort, some companionship, and a modicum of truth about his situation, none of which are in the offing. And with a modesty, artificial or not, that makes the reader like him from the start, Gawande details both what happens to the body as it ages and falls into decrepitude and his own intellectual evolution as a doctor. The all-too-commonplace young physician who takes his charge to be keeping the enfeebled patient alive, whatever the cost to that individual, matures into the medical professional and family member who wants to understand, when one’s final days are clearly numbered, what makes a life worth living and what does not. This abstract bent is combined in Being Mortal with a social scientist’s concern for the institutional framework in which these issues are—or should be—routinely addressed: hospitals, nursing homes, housing complexes for the ill or disabled, assisted-living facilities (though Gawande, following Erving Goffman, sees all such “total institutions” as structurally related in largely negative ways). Gawande also exudes the novelist’s fascination with individual characters, whether patients, reformers, or his own family members. Or maybe he just has a smart sense that stories of lives lived, and their medical and human twists and turns as his subjects encounter the threat of death, are what will make his own largely nonmedical medicine go down. Gawande has very little to say about expanding funds or controlling costs; he obviously feels antipathy toward economistic approaches to healthcare. The same goes for large-scale public policy initiatives or political causes. Remarkably, no mention is made of the Affordable Care Act or health insurance more generally, though Gawande carefully picks exemplary characters from across the economic spectrum and briefly dismisses the idea that anyone should be worried about the institution of so-called death panels. A few paragraphs on assisted suicide—in which Gawande takes the middle ground, acknowledging its benefits in extreme cases but hoping to persuade his readers that this should hardly be a primary policy focus, given how much we neglect the lives of the terminally ill—is the closest he comes to touching hot-button issues. Being Mortal is primarily a polemic about Americans’ flawed attitudes toward and approaches to death, not least their willingness to abandon the elderly and frail to lives of unceasing medical intervention and loneliness, whether in their own homes or in treatment centers, and the “inhumanity, and extraordinary suffering” that this produces. Gawande anchors this argument in a series of painful but engrossing accounts of memorable individuals—people with distinctive personalities, conditions, and dilemmas, both practical and existential—who are in the business of upending end-of-life care, or living through it, or both. We all have stories on this topic, of course. I read Being Mortal—as I suspect everyone will—making continual comparisons between my own intimate experiences and those of its exemplary subjects. Like Gawande (who saves for the final chapter the saga of his own proud father’s difficult decline and death), I lost my father not long ago to a blur of ambulances, care facilities, and nameless personnel with varied suggestions and solutions. But in keeping with a number of subjects in this book, I also saw firsthand, with my mother’s even more recent death, what benefits to both the dying and their immediate families can be derived, when the situation is favorable, from relatively low-tech, compassionate, palliative care, followed by hospice services, at home. Gawande could be accused of overstating the advantages of the latter. Death at home is, as he acknowledges, messy and scary for everyone involved, just as it is in a hospital. Death at home is also potentially fraught with its own hazards. Being Mortal has too little to say about what happens when family members begin to fight over control of the proceedings, or when homes are too dangerous and unsanitary to be suitable places for care, or when the patient is too depressed or angry or far gone to make reasonable choices and has no dependable surrogates, or when the medical professionals themselves disagree about suitable interventions and their likely outcomes. Surely this approach is not for every person or every disease. But Gawande has to be correct that more—whether counted in terms of days or remedies—is not always better, and that quality of life, or “well-being,” even at the very end, is what matters most. Ever the pragmatist, Gawande does not try to hawk the impossible standard of communal, intergenerational care that his venerated centenarian grandfather experienced in a “premodern” India that is fast disappearing. As Gawande makes clear, too much has changed in our global age in terms of average life expectancy, family mobility, and employment trends, including women’s labor outside the home and the advent of a phase of life known as retirement. Even the act of dying has been transformed by modern medicine into an extended process—”a long, slow fade,” in Gawande’s words—rather than a sudden occurrence. His solutions mainly take the form of adjustments that can be made to existing institutions and their standards of care. Some require cutting red tape and reporting requirements, along with at least some increase in funding. Some depend solely on changes in attitude. We need, in his estimation, medical schools that produce more gerontologists or, even better, more general training in gerontology, so that doctors are attentive to the needs of the elderly beyond the strictly medical or physiological. We need various forms of assisted living and nursing care that treat the elderly or enfeebled as if they still live in their own homes, with say over their possessions and schedules and guests, and locks on their doors for privacy when it is desired. Individualized attention to sustaining “the connections and joys that most mattered” in the past to patients—or, ideally, tenants—is also advocated, even when it means curbing the default prioritization of safety and organizational needs that characterizes most treatment facilities. Finally, and most fundamentally, professional care providers (doctors, nurses, directors of institutions) must take the time, and be brave enough, to ask the dying questions like “if time becomes short, what is most important to you?” and then help to realize their particular answers. Gawande is a big proponent of giving seriously ill and incapacitated people choices: about what to eat, when to sleep, even how much medical intervention is enough, and when it’s time to put a halt to the “unstoppable momentum” of treatment. He is adamant that what provides people with a reason to carry on is the sense that they remain authors of their own destiny, that their autonomy as persons has not evaporated even if their sphere for exercising that autonomy has diminished. That, and a genuine connection to others, however narrow that circle becomes (hence the cats, dogs, birds, and flowers). But he also balks at a consumer model that has the doctor simply listing options and leaving all the rest of the deciding to patients, with or without their pocketbooks in play. The values that govern hospice care, Gawande stresses, need to be brought to those living through their final days everywhere. The caregiver’s job, according to Gawande, should be to describe, realistically and compassionately, the landscape that the patient confronts and then guide that person and his or her kin toward reasonable, realistic choices that correspond to personal priorities and desires. Gawande calls this “shared decision making,” and he is willing, to a certain degree, to let people make “poor choices” (eating or drinking what’s not medically advisable, for example, or using a walker instead of a wheelchair even when it increases the risk of falling) if it makes them feel less dependent. Safety, he says provocatively, is what adult children want most for their parents, but it is rarely what those aged parents want most for themselves. In the end, Gawande insists that care focus on the dignity of the old, the ill, and the infirm, which is but another way of saying: Stop infantilizing the dying. Tell them the truth about what lies ahead, and help them live as well and as independently as they can until they reach the point when they have already determined that their lives would no longer be worth living. Doctors, he insists in his dual role as surgeon and son, need to overcome their own anxiety. They also need to “negotiate” the understandable anxiety of those around them. This turns out to mean thinking long and hard about the language in which they conduct their most difficult conversations, starting with why the opening gambit “I’m worried” is better than “I’m sorry.” Gawande is especially eloquent about what courage in the face of death would sound like, and it isn’t heroic or grandiose. Being Mortal, with its clear, concrete prose, could itself be a model—or, indeed, one of Gawande’s small fixes. This is a book that doesn’t belong to what passes right now for the healthcare debate, where the focus is almost entirely on data: the number of plans or enrollees, costs, rate increases, and the like. Yet we should all be listening attentively.